Go with the name you know - Randazzo. 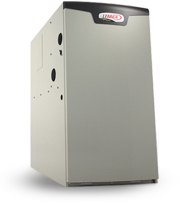 Randazzo Heating & Cooling is Michigan's largest award-winning Lennox Premier Dealer. We are fully insured and licensed within the State of Michigan for residential heating and cooling systems. We only offer the finest in installations and repair. You can rest-assured knowing that you will get the speed, quality, and experience that you seek. We believe in setting the highest standards in the heating and cooling industry leading with innovation and integrity, breaking all barriers. Focused on offering our customers an optimum level of service. Our team is a large family, Together, through Christ, all things are possible. We are Michigan's largest award-winning Lennox Premier Dealer, we know our products inside and out - experts at getting to the root of the problem to provide a workable and affordable solution. Upgrade your furnace and air conditioner! Enjoy better comfort in your home and lower your utility bills. We have been serving the Southeastern Michigan and Metro Detroit area with air conditioners and furnaces for over 30 years. Located conveniently in Macomb, Randazzo can respond quickly to any heating and cooling situation.